Press 1 roll (16.5 oz) Pillsbury™ refrigerated chocolate chip cookies evenly in bottom of pan. Bake 10 minutes. Meanwhile, into medium bowl, crumble 1/2 roll Pillsbury™ refrigerated chocolate chip cookie dough. 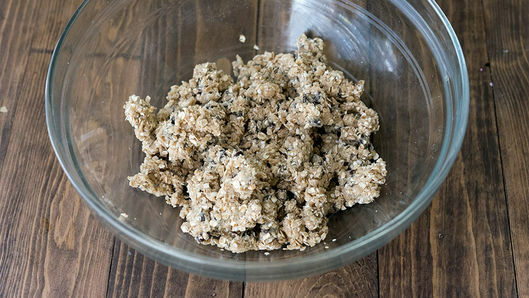 With fingers, work in 1/2 cup quick-cooking oats to form crumbly streusel. Set aside. 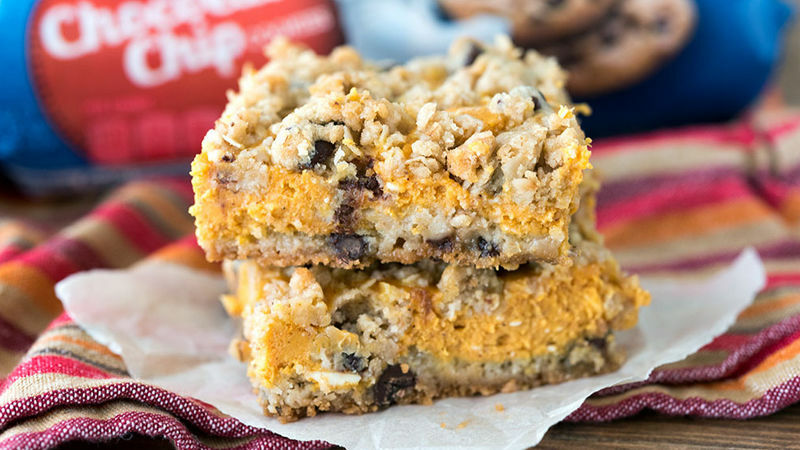 In large bowl with electric mixer, beat 3 eggs, 1 can (15 oz) pumpkin, 1 package (8 oz) cream cheese, softened, 3/4 cup sugar and 1 1/2 teaspoons pumpkin pie spice until no lumps remain. Remove partially baked crust from oven. 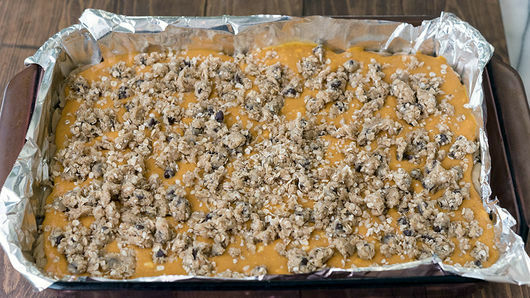 Pour pumpkin mixture over crust. Sprinkle streusel evenly over top. Bake 26 to 30 minutes or until streusel is browned and center is only slightly jiggly. Cool completely on cooking rack, about 45 minutes. Refrigerate at least 2 hours. For bars, cut into 6 rows by 4 rows. Store in refrigerator. 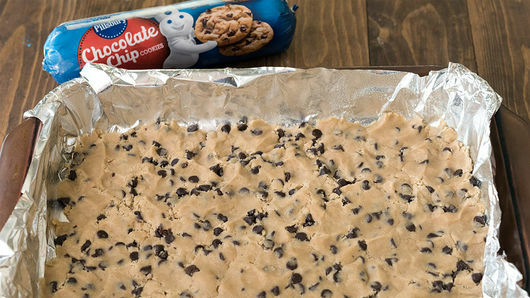 Use your favorite cookie dough instead of chocolate chip! The best way to ensure you will not have lumps in your cheesecake mixture is to make sure that all of your ingredients are room temperature (especially the eggs and cream cheese)! Bake the remaining 1/2 roll of cookie dough into cookies to fill the cookie jar!